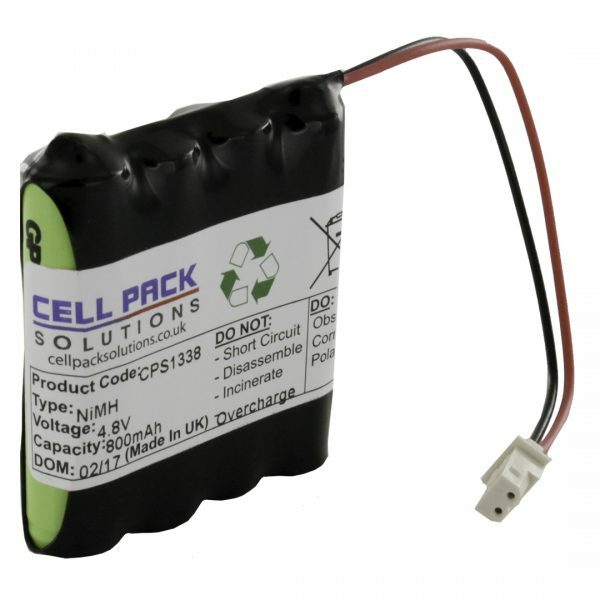 The Cell Pack Solutions CPS1338 is a replacement battery pack for a Cateye HL-EL600RC Single Shot Torch. Prompt service, battery pack well built. A good way to re-use an older light. A lot cheaper than a new lamp, very snug fit for the battery but it works fine again. 10/10 for fast delivery of the correct product. Most people would consider it a better option than buying a whole new lamp at a much greater price. Note – Opening up the lamp – The retaining screws are hex socket. VERY IMPORTANT – Carefully note the EXACT routing of the existing wires! Fitting – If it seems to be a very tight fit, you must align the wires correctly till will slide in like a .. (hand in a glove?). (a) it is too soon to know the operating characteristics of the battery – (Only been charged once). (b) it is unclear whether the new unit includes the thermal-protection thermistors present on the original. Rating could rise to “Perfect”.